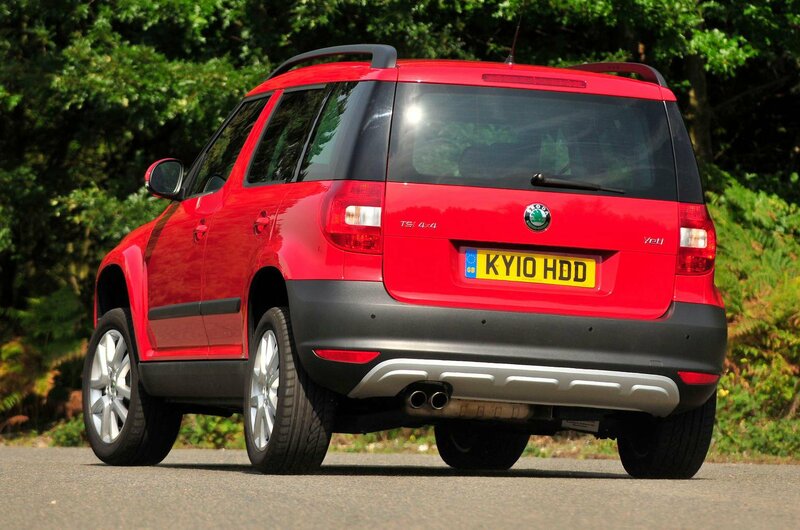 Skoda's first attempt at an SUV won friends for its practicality and efficiency. The writing might not be on the wall for conventional small cars yet, but who wants to drive something that looks like it's had a charisma bypass when they can have an overtly stylish small SUV like the Mini Countryman? An all-new Countryman is set to be revealed later this month, but don't forget about the outgoing model, early examples of which are starting to look like pretty decent value on the second-hand market. The same goes for the Nissan Juke and Skoda Yeti, both quirky rivals to the Countryman that are settling at similar values. All offer the tough looks of a full-size SUV, but in a compact package, and all are reasonably affordable to buy and run. So, which makes the best used car purchase? It's time to find out. 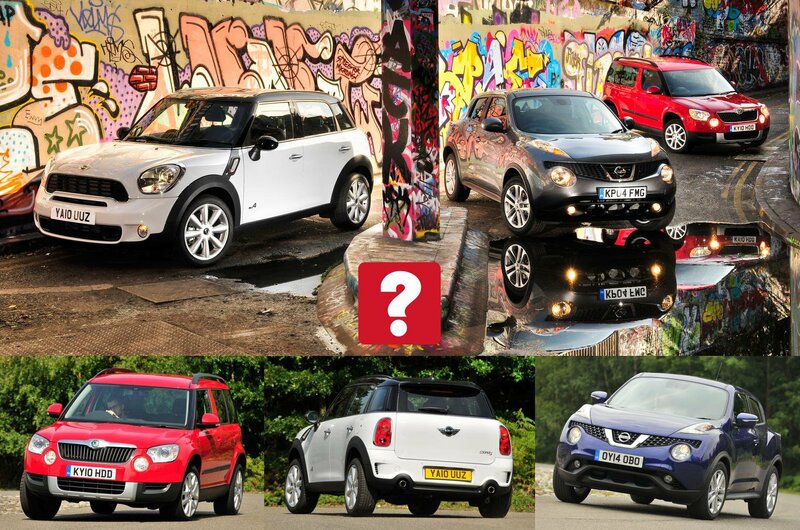 Minis are synonymous with fun, but does the bigger, bulkier Countryman still put a smile on your face? Yes and no. It isn't as nimble as the Mini hatchback, but it handles well by SUV standards and its four-wheel-drive system provides good traction. The steering reacts quickly, too, so turn-in to corners is swift. The downside is that this steering makes the car feel nervous at speed. As with every Mini, the Countryman's ride is firm. Bumps and knobbly country roads cause you to shimmy a bit too much for comfort. Despite these foibles, though, the Countryman is generally assured and reasonably good fun to drive. If it's handling thrills you're after, the Juke may be a better bet. It has a character that's guaranteed to put a smile on your face, even if it doesn't grip as well as the Mini. Stiff suspension keeps body movement firmly in check, so the Juke is impressively agile, while the steering is eager, if a little inconsistently weighted. However, the price for this is a ride that's downright hard. The Yeti has a different character to the others. There's more slack in the steering and suspension, which means it doesn't feel quite as lively, but it's more cosseting. Even so, it's every bit as assured on demanding roads, and flows smoothly along thanks to well-weighted, consistent steering and fine body control. The Yeti tested here is fitted with a 1.8-litre turbocharged petrol engine. However, this version is now quite hard to find because it was dropped from the range when the Yeti was facelifted in 2013. The Mini and Juke we're testing here, however, have kept their respective engines, both 1.6-litre turbocharged petrols, right through to the present day. 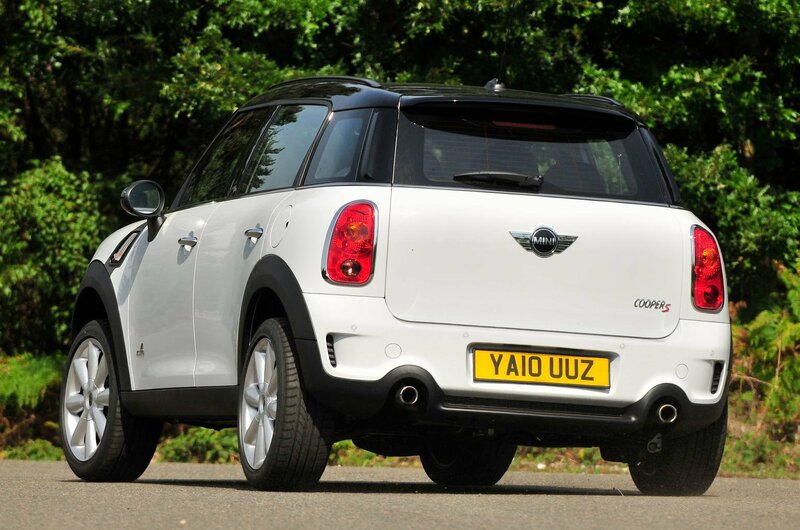 Despite its bigger capacity, the Yeti is down on power, with 158bhp to the Mini's 181bhp and the Juke's 188bhp. The Yeti makes up for this with more torque at lower revs, which means you don't have to change gear as often as you do in its rivals. The Mini's engine is similarly responsive and ultimately provides even stronger pace. With the Juke, there's a more noticeable flat spot at the low revs, followed by a sudden surge as its turbocharger gets into its stride. Indeed, once it does, the Juke's acceleration is hot hatch quick, and you have to be careful that this sudden burst of power doesn't overcome the traction of the front wheels. 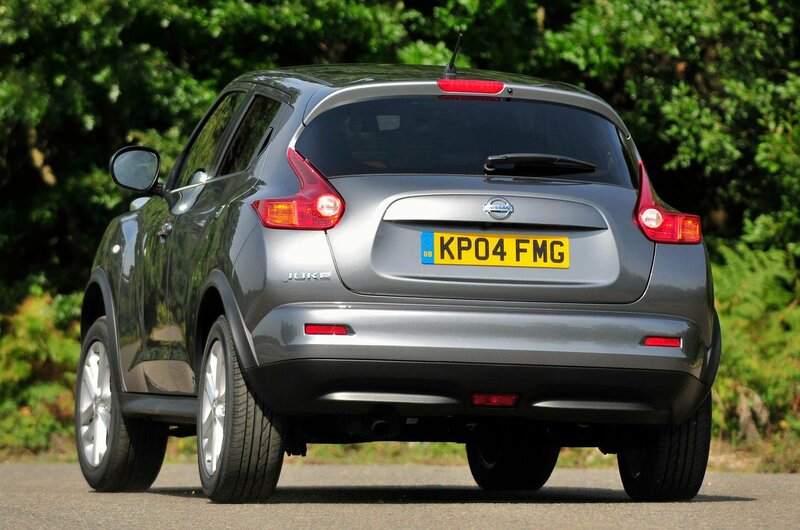 As well as being less flexible than the others', the Juke's engine is also a touch noisier. It's far from offensive, but it's not as civilised as the Countryman's, and the Yeti's is smoother still. Overall, the Yeti is the most refined car.